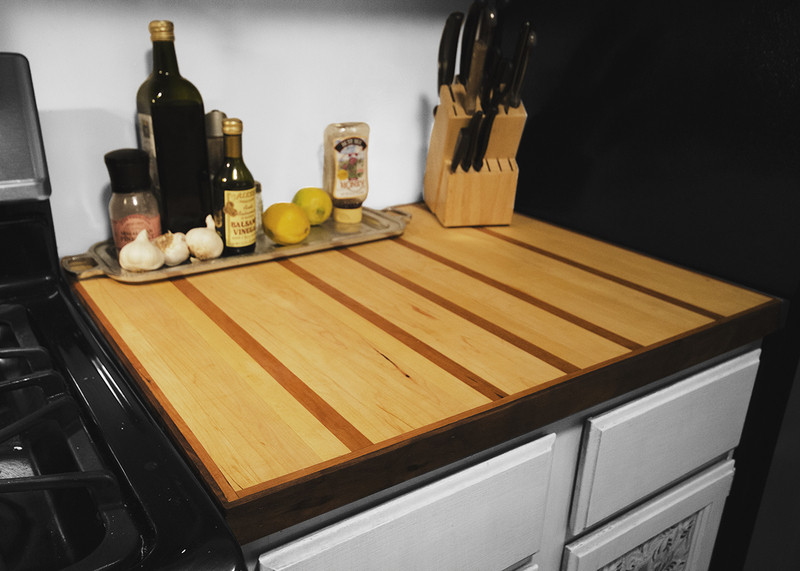 This is a cutting board countertop that was installed to replace an unattractive laminate countertop. 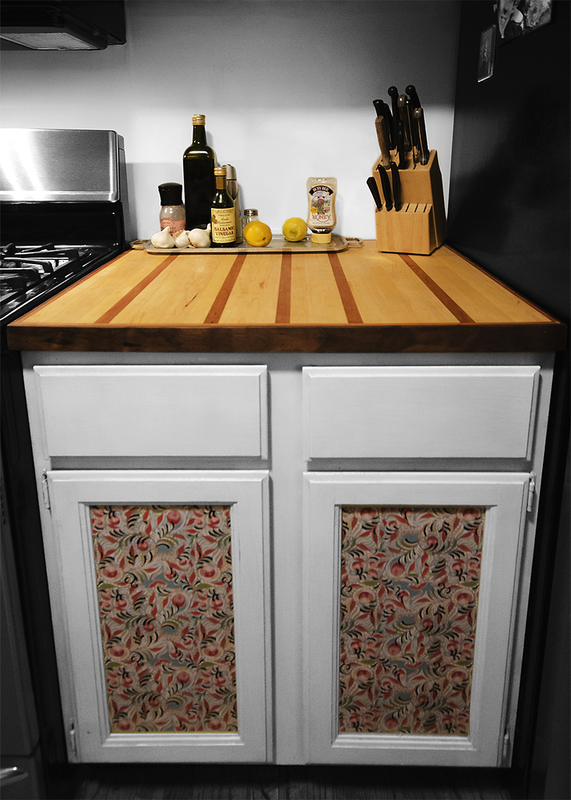 It was built from Hard Maple, American Cherry, and Black Walnut. 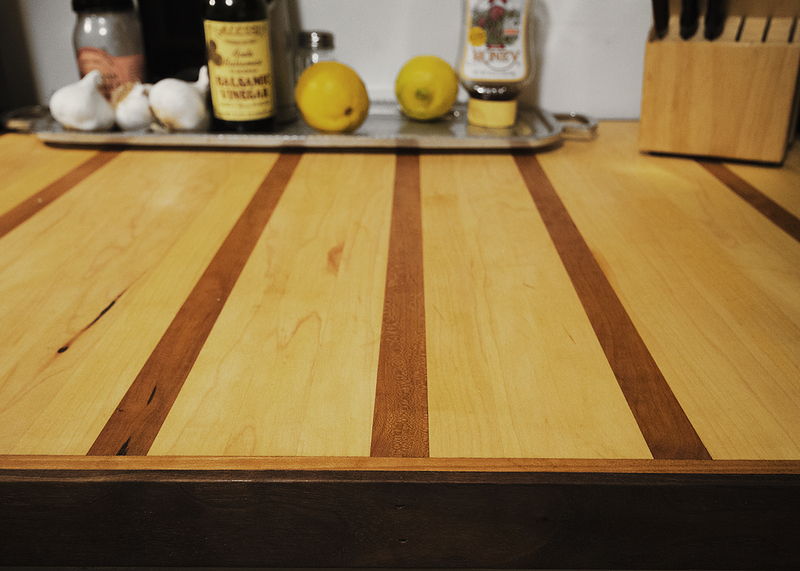 It was finished with a food friendly Tung Oil.